We think of sea-level rise as a long-term threat, but sometimes the change is catastrophically quick, and it’s the recovery that is long-term. On October 15, 2013, a magnitude 7 earthquake struck the island of Bohol in the Philippines. It was devastating, killing over two hundred people and injuring a thousand more. The quake shifted the coastline, lifting some parts of the coast by over a metre and dropping other parts by a similar amount. 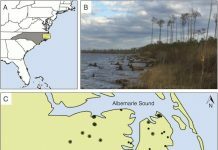 Research published in Ocean & Coastal Management by Rollon et al. records how the mangroves in the area have had to rapidly adjust to their new position. 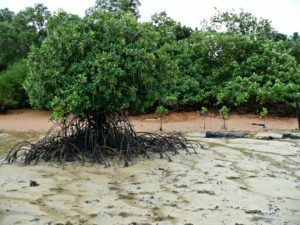 Mangrove forests matter because they hold a key role in coastal ecosystems. 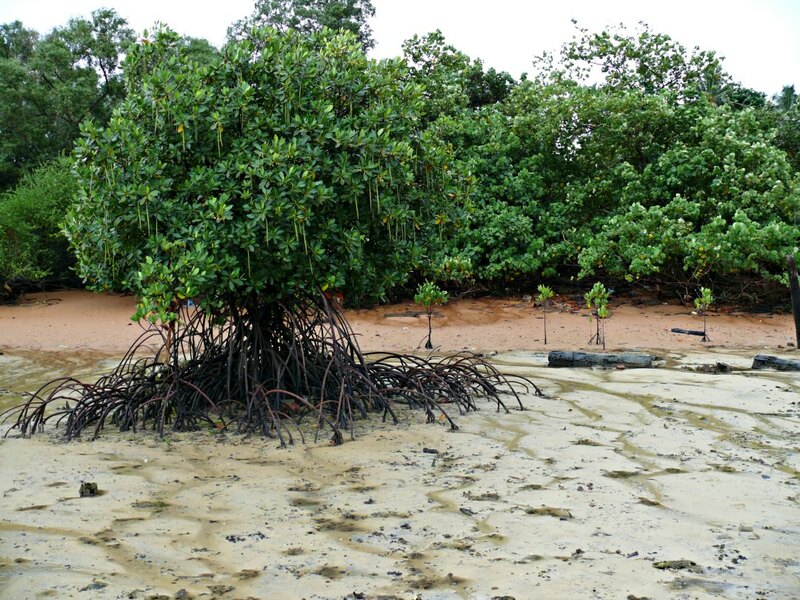 Mangrove trees can survive in brackish water, where the salt would kill other plants. They provide leaf litter that feeds the ecosystem, as well as acting as a barrier between the sea and the inland regions. 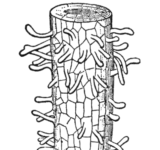 One of the key features of mangroves is the root system. The roots are unusual. For a start they’re not always roots. 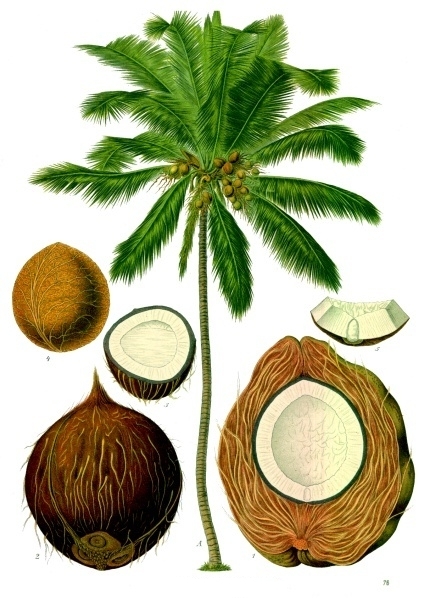 Méndez-Alonzo et al. say the better name for the stilts is rhizophores, as they grow from the stem. Whether or not you call them aerial roots, they look like a series of legs helping support the tree. Some of this is to buttress the tree so that the shallow root system is able to take more of a buffeting from winds and tides than it could otherwise. Another reason is that these roots are exposed between tides, allowing the tree to breathe. Rollon et al. realised that if an earthquake had dropped some of these trees by a metre, then they’d be under a lot of stress and they’d have to adapt. Rollon’s team repeatedly visited a population of mangroves as they came to terms with their new condition, visiting between March 2014 and September 2016. What they found is that straight away the submerged trees started putting out new rhizophores to cope with the relatively higher tides. By the end of the study, there was an extra 39% volume in the rhizophore system. What caught my eye in the paper isn’t so much what is connected to this extra root growth, but what isn’t. In their discussion Rollon et al. point out there are a few things that can spur the growth of prop roots. They refer to Méndez-Alonzo et al.’s paper with height-crown allometry, allometry being the relationship between size and shape. They also note Yang et al.’s paper on tree stability under wind. They also mention that nutrition and soil type can make a difference, and then note none of these things changed rapidly after the earthquake. That means the key factor triggering the new growth must be the new tidal range relative to the tree. Effectively, the the earthquake provided an in situ demonstration of what a rise in sea level (alone) means for mangroves. In reality, we don’t expect sea levels to rise by a metre overnight, but we do expect sea-levels to rise over the lifetime of a mangrove tree. Rollon et al show some of what you can expect as a response in the future.